Deep Ambre There are 4 products. Coat your room with the freshness of Mia Maison instantly with our aromatic Room Mist. 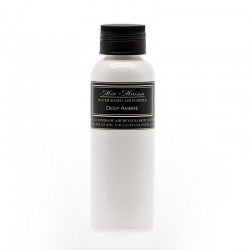 Perfect for linen, curtain and heavy drapes, Mia Maison Room Mist does not stain fabric. This Holiday Season, lift spirits (and senses) with our latest scents: airy Seaside Cotton, mystic Tea at the Orient Express, sensual Orchard Royale and utterly warm Deep Ambre.